The Active Tourer is a posh five-seat MPV, so it’s a more prestigious alternative to the likes of the Ford C-Max and Renault Scenic. The Ioniq is the first car in the world to be launched with three different electrified powertrains. Toyota Prius and Nissan Leaf owners should definitely take note. The Ford Focus is the benchmark by which all family hatchbacks are measured, and the estate is also pretty popular. It has tough competition in the form of the Seat Leon ST, Vauxhall Astra Sports Tourer and Volkswagen Golf Estate. It seems like the UK government change the rules on car tax bands every year. The rules changed again on April 1 2018, and there will be another increase in April 2019, so here’s our guide on what you have to pay. What is a smart motorway, and how are you supposed to drive on them? The two-seat BMW Z4 Roadster is targeted at buyers that want a really sporty open-topped car, without sacrificing creature comforts and the latest technology. Its main rivals are the Audi TT Roadster, Mercedes SLC and Porsche 718 Boxster. The Honda Civic Saloon is a car with very few rivals, primarily because UK small car buyers tend to prefer hatchbacks to saloons. It’s a good car in its own right, though, so if you fancy something a little bit different, it might be worth a look. The Hyundai Santa Fe is a large seven-seat SUV that majors on comfort, practicality and equipment. It’s not the bargain many expect it to be, but it’s a very solid all-rounder and comes with an excellent warranty. The Kona is one of the most eye-catching offerings in the fiercely competitive small SUV sector. It has the Nissan Juke, Citroen C3 Aircross and Renault Captur firmly in its sights. The BMW X4 is an SUV that wants to be a coupe. Think of it as a sportier alternative to the more practical BMW X3, and a close rival for the Mercedes-Benz GLC Coupe, Porsche Macan and Range Rover Evoque. The Q8 is a sporty-yet-luxurious flagship for Audi’s ever-expanding SUV range, and it delivers expressive styling and an ultra-modern interior, similar to that of the A8 and A7. Still fancy that Range Rover Sport? Toyota’s updates to the little Aygo go further than you might expect – on the mechanical front at least – and help keep the smallest and most affordable car the Toyota makes competitive in the city car class. The 1 Series is a premium small hatchback, with the emphasis on a sporty drive and good connectivity. It’s a good company car, and plays rival to the Audi A3 and Mercedes A-Class. 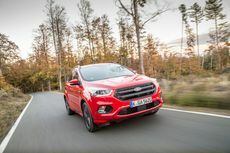 The previous Fiesta outsold everything else in its class, but with newer rivals like the Seat Ibiza and Volkswagen Polo to contend with, Ford knows it cannot rest on its laurels. Welcome to the eighth iteration of the Ford Fiesta. The Ford Fiesta ST is a small hot hatch, but don’t go thinking it’s some cheap alternative to a ‘proper’ hot hatch. This car has the tools to shame much more expensive machinery, not to mention the Renaults and Peugeots with which it competes directly. Pick-up trucks are appealing to more people than ever these days, and that’s because driving one comes with a range of benefits. Find out exactly what those benefits are, and which pick-up you should choose. A new report confirms that we spend a long, long time in traffic, and it costs us all a lot of money. Mercedes’ classic off-roader is reimagined some 38 years after the original, and revealed at the Detroit Motor Show. 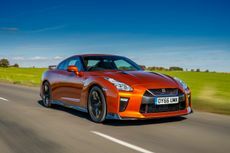 Choosing a sports car may be an indulgence, and you want something that's great to drive, but you don't have to completely give up on comfort or even reasonable running costs. English councils saw surplus income from parking fees and fines rise to record levels in 2016/17. Much of the proceeds will be reinvested into transport projects. See how much money you could save on your next car on Black Friday weekend. Sales of used cars dropped slightly in the third quarter of 2017, but overall sales are up for the year so far. Consumers have known for years that official fuel consumption figures should be taken with a pinch of salt, but a new study suggests the gap between the figures and the real world is now bigger than ever. Industry figures show a big drop in diesel sales, but a big rise in registrations of hybrid and electric cars. However, experts says consumer concern is misplaced. The Arona is a small SUV that offers an alternative to cars such as the Kia Stonic, Renault Captur and Peugeot 2008. The new BMW X2 brings some extra style to the small SUV market, and rivals cars like the Range Rover Evoque. The Audi RS5 is the high-performance flagship of the A5 Coupe range, meaning it competes with other prestige powerhouses like the BMW M4 Coupe and the Mercedes-AMG C63 Coupe. 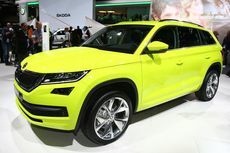 The T-Roc hopes to appeal to style-conscious younger buyers who want looks, practicality and the latest tech in an urban 4x4. Will it tempt buyers away from the Mini Countryman and Audi Q2? The Stinger is a part-hatchback-part-saloon-part-coupe from Kia that offers a value-for-money alternative to premium cars like the Audi A5 Sportback and BMW 4 Series Gran Coupe. The Kia Stonic is a small SUV that plays rival to the likes of the Renault Captur, Nissan Juke and Fiat 500X. Like those cars, it plays mainly on its style, but it offers a decent amount of equipment and practicality, too. Changes to Ford’s iconic muscle car include a new look, as well as updates to engine and suspension, and extra safety kit, which the company says should improve its disappointing safety rating. Looking for something unusual and don’t want to spend a lot of money…? Lexus’ big coupe takes aim at rivals from the Porsche 911 and Jaguar F-Type, through to the BMW 6 Series and Mercedes-Benz S-Class Coupe. Starting out on student life is a huge step, but you'll find it all the more enjoyable with a car. Better still, as our favourites prove, there's a huge selection of practical, reliable and cool cars available. Cars Editor Andy Pringle and his family have just started a six-month period living with Skoda's first seven-seat SUV, and first impressions are that it copes exceptionally well with everyday life. Although the rumoured 'scrappage’ scheme from the government is yet to see the light of day, BMW and Mini have started a similar scheme all of their own. The BMW M3 is a madcap supercar slayer. Question is, is the latest M3 simply too extreme, and would a Mercedes C63 AMG or an Alfa Romeo Giulia Quadrifoglio be a better bet? This week's newspapers have been full of headlines about the cars we'll have to drive in the future, but how do the government's proposals affect car owners today? Larger than an Evoque and smaller than a Range Rover Sport, the Velar is a new way into Range Rover ownership, with rivals including the Porsche Macan and Audi Q5. The Arteon is more than just a replacement for the Passat CC, it’s a window into the future of Volkswagen design, and a competitor for premium rivals like the Audi A5 Sportback and BMW 4 Series Gran Coupe. The i30 Tourer is not short of appeal, however there are some rivals that are better all-rounders. Skoda’s city car shares its oily bits with the Volkswagen Up and Seat Mii. 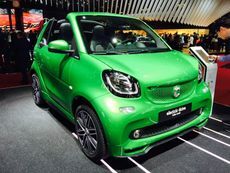 As well as its in-house siblings, the Citigo also faces competition from cars such as the Fiat 500, Hyundai i10 and Peugeot 108. Pete Tullin takes time out for some fond reminiscing about life on the Edge. 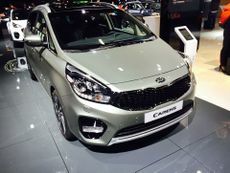 The latest model from the Korean maker will be a rival for the likes of the Nissan Juke and Renault Captur, as well as the forthcoming Citroen C3 Aircross and Kia Stonic. Audi gives its Q5 SUV the sporty treatment by adding an S to the name, extra power under the bonnet, and some performance tweaks to the chassis. The company's new model will be a rival for the Nissan Juke and Vauxhall Mokka X when it goes on sale in the second half of this year. Renault’s hugely successful compact SUV gets a mid-life facelift from 2017 onwards. Does it still have the appeal of its predecessor? The car manufacturer's largest SUV has had tweaks to its exterior and interior, as well as new technologies. Latest Euro NCAP tests focus on advanced driver assistance systems. The 4 Series Gran Coupe is a rival for the Audi A5 Sportback, providing a sort of halfway house between the 3 Series saloon and the 4 Series coupe. Diesel registrations in Europe dropped below 50% during April. Land Rover brings two new petrol units and a diesel to its smaller SUVs for 2018. We’ve teamed up with the experts at Joie to see how you decide which is the right seat, and even more importantly, how you should fit it. This is our first chance to see the Kodiaq's new baby brother, which will rival the likes of the Seat Ateca when it goes on sale later this year. The BMW 4 Series Convertible is a premium open-top car that rivals convertible versions of the Audi A5 and Mercedes C-Class, but unlike those rivals it has a hard top. The Ateca FR was unveiled at the Barcelona Motor Show last week. It will be available to order from 3 July, and arriving in UK showrooms from August. The Spaceback provides loads of metal for your money, but in the cut throat world of heavy discounts it’s up against some formidable opposition, including the superb Ford Focus and Vauxhall Astra. Having been unveiled at the Geneva Show in March, the hottest Civic will arrive in July, costing less than £300 a month on finance. MG’s new SUV will add a third model to the MG family, giving the company a rival for models such as the Nissan Juke, Renault Captur and Vauxhall Mokka X. The all-new Koleos is available to order now, with first UK deliveries expected in the summer. The Volkswagen Golf Estate may not enjoy the same level of sales success as its hatchback sibling, but that doesn’t make it any less of a beautifully built, excellent driving and immensely practical estate car. The McLaren 720S is a V8-powered, mid-engined, rear-drive supercar that competes for buyers’ affections with exotic machinery such as the Ferrari 488 Coupe and Lamborghini Huracan. It’s even more astonishing to drive than it is to look at. The Yaris is Toyota’s entry into the competitive supermini market, and this model is a facelifted version of a car that’s been with us since 2011. It features a generous warranty, lots of safety features as standard and a great reputation for reliability. As a compact SUV with a prestige badge, the Mercedes GLA is a head-on rival for cars like the Audi Q3 and BMW X1. It’ll appeal to buyers thanks to its generous equipment and classy interior, but it’ll be those off-roader looks that really tickle the fancy of most buyers. With a power output of more than 500bhp, the new Mercedes-AMG GLC 63 is effectively in a class of its own, combining sportscar performance with SUV practicality and four-wheel drive versatility. 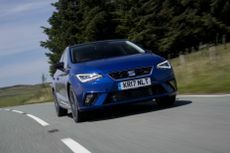 The Seat Ibiza is a five-door supermini to rival the likes of the Ford Fiesta, Vauxhall Corsa and Volkswagen Polo, and it looks to attract buyers with its smart styling and lots of in-car technology. It’s not half bad to drive, either. The Picanto is one very impressive city car that’s designed to steal sales from the likes of the Volkswagen Up, Renault Twingo and Fiat 500. Within the space of a year, Seat has announced three SUVs. This as yet unnamed model will be the largest of the three and go on sale in 2018. The Volkswagen Beetle has one of the most recognisable silhouettes in motoring, so it barely needs any introduction. While once upon a time it was the car that mobilised the masses, it’s now about retro styling and a funky image. Alongside the saloon, estate and All-Terrain, it will be the fourth member of the range when it goes on sale next year. The Renault Zoe was already one of the better electric cars on sale, and the vastly increased range only makes it more appealing. The Land Rover Discovery’s looks may have been softened off, but fear not, the latest Disco is just as rugged as ever. However, we’ll need to try a production-ready version on a proper road before we can say how good it’ll be as an everyday companion. The flagship for the revised Leon range uses the same engine as the Volkswagen Golf R, making this the most powerful road-going Seat car ever. Skoda has built its first seven-seat SUV, but can the new Kodiaq follow in the Yeti’s successful footsteps? We’ve tested it to find out. This mid-range update is designed to help keep Europe’s best-selling car looking and feeling fresh until the all-new re-engineered Mk8 Golf is launched in 2019. The Musso is a no-nonsense pick-up truck that’s priced to undercut the likes of the Nissan Navara, Mitsubishi L200 and Ford Ranger by a significant margin. So it’s a bargain then? Or is it cheap as chips for a good reason? The Audi R8 Spyder is the drop top version of the flagship R8 supercar. It uses the same naturally aspirated 5.2-litre V10 engine which, in a new era of turbocharging, is becoming an increasingly rare breed. The SsangYong Tivoli XLV is roomy and well-equipped for a small SUV, offering good value for money and lots of space. We assess it in all areas and compare it to its rivals. Get the best possible deal by securing the right valuation for the car you're trading in. For most buyers, knowing they're paying the right price is crucial, but the good news is it's easy to check they are.